Oh MY GODDESS….I am OBSESSED with coconut oil. I cook with it…remove my makeup in the evening… take a tablespoon a day internally… give my hair a gorgeous deep oil treatment… shave my legs with it…slather my body with it after a delicious bath….use it as a massage oil…. its my lip balm….and the list goes on and on. Studies have shown that intake of coconut oil can help our bodies mount resistance to both viruses and bacteria that can cause illness. Even more, it also can help to fight off yeast, fungus and candida. 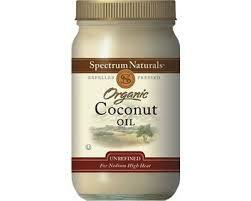 Coconut oil can also positively affect our hormones for thyroid and blood-sugar control. People who take coconut oil also tend to have improvements in how they handle blood sugar since coconut can help improve insulin use within the body. Coconut oil can boost thyroid function helping to increase metabolism, energy and endurance. It increases digestion and helps to absorb fat-soluble vitamins. But my favorite fact about coconut oil? It is my Anti-Aging go to. It keeps my skin young, unbelievably hydrated and gorgeous. Firm and fabulous. It’s naturally antibacterial and antifungal, it’s an excellent moisturizer, it can penetrate hair better than other oils, and, well, it smells like cookies. It is the BEST eye makeup remover on the planet. It even helps rosacea, eczema and psoriasis!! Dont walk, RUN to your nearest Whole Foods or Trader Joes. Make sure its organic and cold pressed. Enjoy my goddesses…you will thank me!